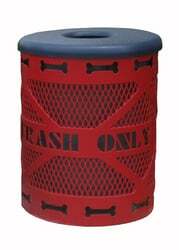 32 Gallon Receptacle: Features textured poly coated, heavy gauge steel with attractive dog bone details. 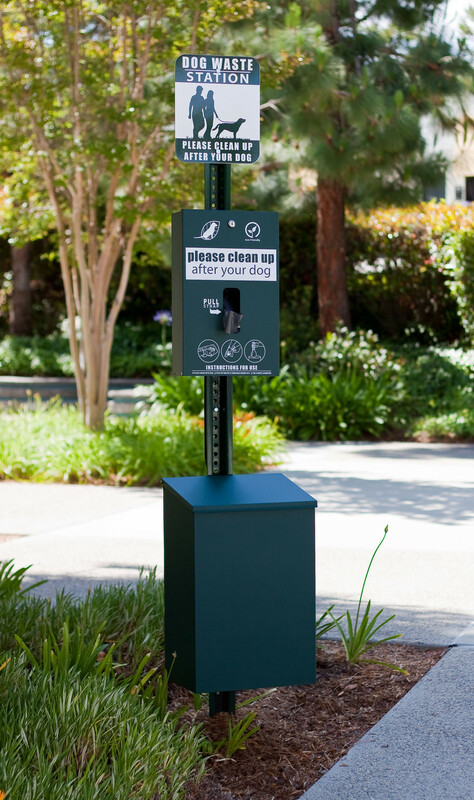 Pet Parking Post: Constructed from a 10-gauge aluminum with two hitching arms welded directly to the post and a custom routed paw made from eco-friendly HDPE plastic. 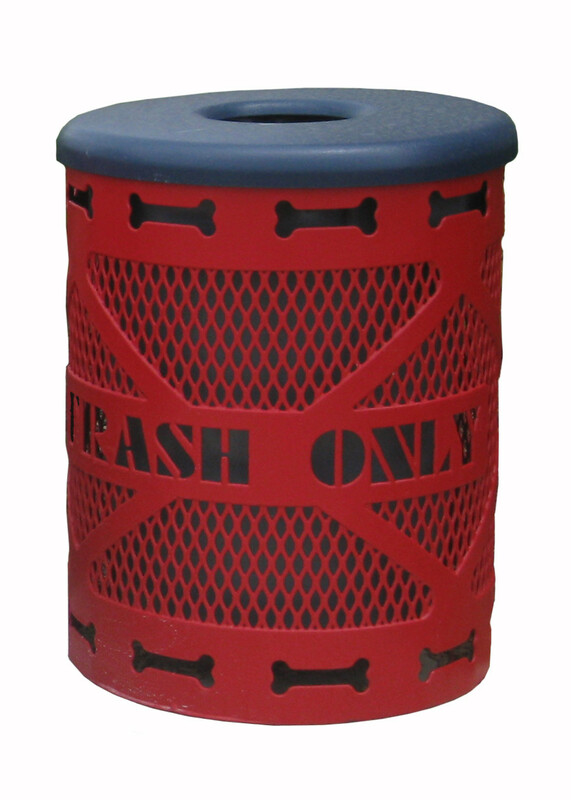 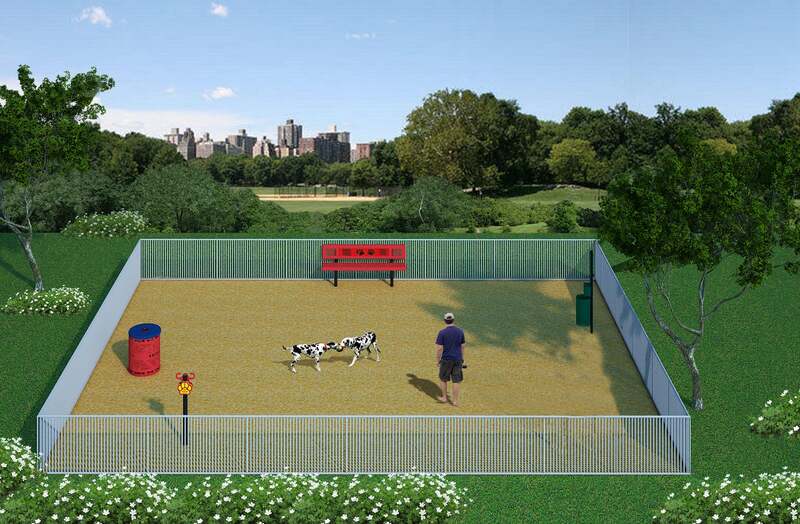 Complete Dog Waste Station: Dimensions: 72"H x 14"W and manufactured with commercial grade, rust proof aluminium powder coated in either green or black.